Profile Artist Roberto Chessa, Sassari, Sardinia. Artist Roberto Chessa, Sardinia, Italy. 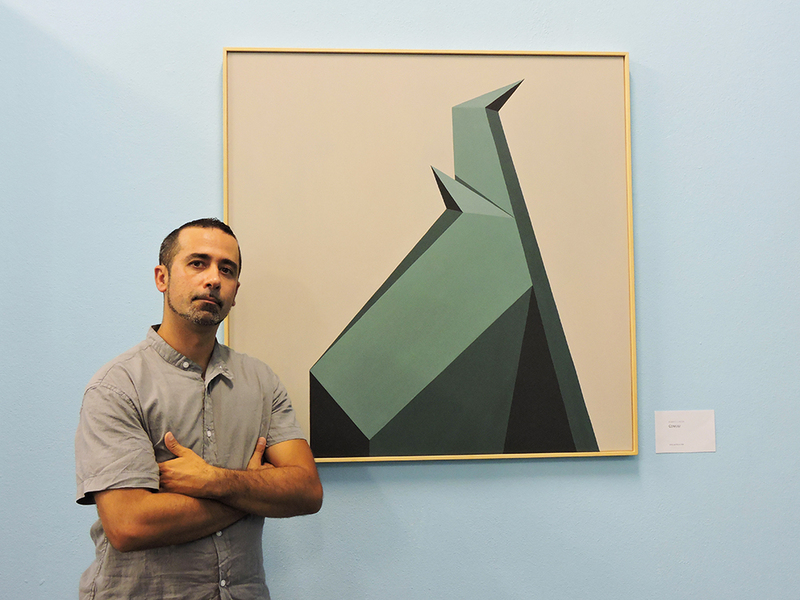 Roberto Chessa, born in Nuoro in 1978, is an artist, painter and professional breakdancer. Ever since his adolescence he took an interest in painting, following his father’s footsteps. His love for art continued through the years: he attended the Art Institute and the Academy of Arts in Sassari. At the same time he approached the Hip Hop culture thanks to many graffiti in his hometown and the movements of boys breakdancing on cardboard. He learned the basic steps by himself and in ’93 moved to Sassari where he established the Sirbones Crew, achieving remarkable results in Italy and abroad. From 2011 until 2015 he lived in London where he kept on dancing and painting. He then got back to Sardinia to attend a painting school by Giovanni Manunta, known as Pastorello. This experience changed his painting radically. Currently he lives in Sassari and carries out his artistic research, teaching the Hip Hop culture to young generations. Painting remains his main activity, a constant aesthetic investigation that grows through geometric paintings with strong visual impact. His painting, apparently abstract, develops from his imaginary Hip Hop. Breakdancer, writer, painter, all this is summarized with a constructivism art. His paintings look like crystallized explosions of colors, elevated shapes, sharp vertexes trying to reach the sky. Shapes of juxtaposed and pleasant colors that seem perfect to be concrete sculptures, futuristic lighthouses. We always come back to te street. Roberto Chessa’s painting is harmless at the first sight, thanks to its pastel colors but it shows a sharpened, powerful and ambitious side. It is a painting that wants to exist, to expand and to be real.